Logistics and materials handling touch everyone’s lives – whatever is purchased be it online, in store or delivered from a wholesaler. 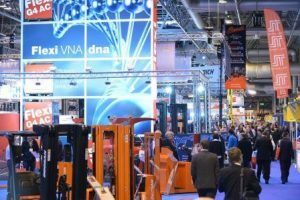 That’s why IMHX, the UK’s leading logistics exhibition taking place at Birmingham’s NEC from 13th to 16th September, is a must-attend event. Sponsored by financial services provider Investec, IMHX 2016 will reflect every aspect of 21st century intralogistics. Present at the show will be over 100 suppliers of forklift trucks and associated products and services, over 30 supply chain and warehouse IT providers, in excess of 40 suppliers of automation solutions, over 25 companies working in packaging and well over 60 general materials handling exhibitors. The regional heats of the RTITB Operator of the Year return to IMHX in 2016. This is held every three years to find the best forklift operator in the country. The Design4Safety awards, organised by the British Industrial Truck Association (BITA), will also be part of IMHX 2016. The aim of the awards is to highlight the importance of product or service design in improving safety standards. Enter by visiting http://www.imhx.biz/design4safety. There will also be a Demonstration Zone where manufacturers will be putting their trucks and equipment through their paces, showing their capabilities and versatility. 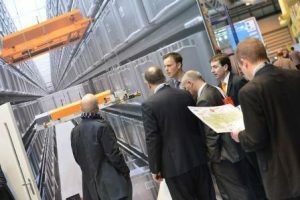 IT solutions are playing a growing role in the supply chain and in response to these developments for the first time IMHX will feature a dedicated Supply Chain IT Village. Among those exhibiting will be Proteus Software which specialises in providing Warehouse Management Systems (WMS). Also for the first time ever this year at IMHX we are pleased to announce a Future Skills Zone highlighting the careers available to young people in Britain’s logistics sector, and featuring leading employers from across the sector. The Future Skills Zone at IMHX will show the brightest and the best that they don’t need to choose university as their route to a good career – and that a vocational route can take them into highly skilled managerial positions. Leading companies across the UK are crying out for ambitious and motivated young people to take on interesting and challenging roles in logistics and allied industries and those participating in the Zone include leading forklift truck manufacturers Toyota Material Handling, and Linde Material Handling, whose apprentices will be stripping down and rebuilding a vehicle, Crown and Jungheinrich. Within the Future Skills Zone there is also a Future Skills Presentation Theatre which will feature a series of presentations from young aspiring logisticians who will provide insight into what a logistics career path can offer. Presentations from XPO Logistics and Widdop & Co are already scheduled, with others being confirmed shortly. The former BITA Academy, now the new Forklift Training Engineering Centre (F-TEC), the industry’s training centre for apprentices and engineers, will also be providing information on apprenticeships. 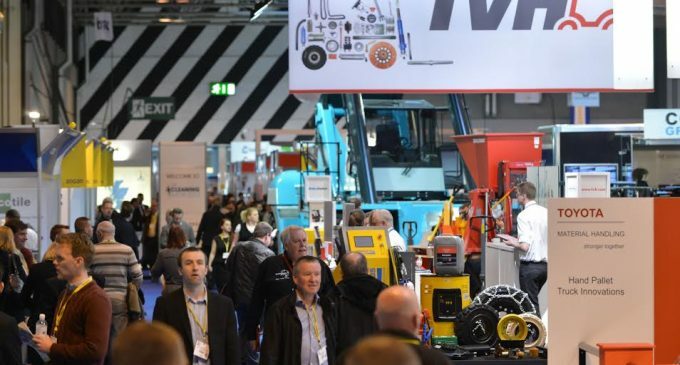 As you can see there is plenty going on over the four days of the show – and with over 400 exhibitors expected to attend, IMHX 2016 is on track to be the biggest ever. To find out more go to www.imhx.net.